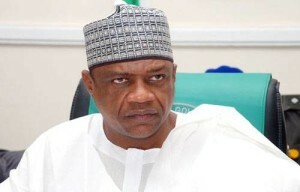 Yobe state can be found in the core North of Nigeria. It was created on the 27th of August 1991 from Borno state. The state as at 2011 had an Estimated population of 2,757,000 most of them being Kanuri, while other ethnic communities include Ngizim, Kare-Kare, Bolewa, Bade, Hausa, Ngamo and Shuwa, Fulani (Bura), Maga. The people in Yobe state are purely Muslims as Sharia Law is active. Agricultural Resources: Fishing, Maize, Rice, Millet, Goundnut, Gum Arabic, Cotton, Livestock farming. Mineral Resources: Potash, Kaolin, Gypsum gravel, Silica Sand, Limestone, Diatomite. Points of Interest: Dufuna Canoe( Africas oldest known boat), Hadejia Nguru Wetland, Damaturu Monument, Bula Tura Oases Nguru, Nguru, Dokshi Spray Water, Dagona Bird Sanctuary.